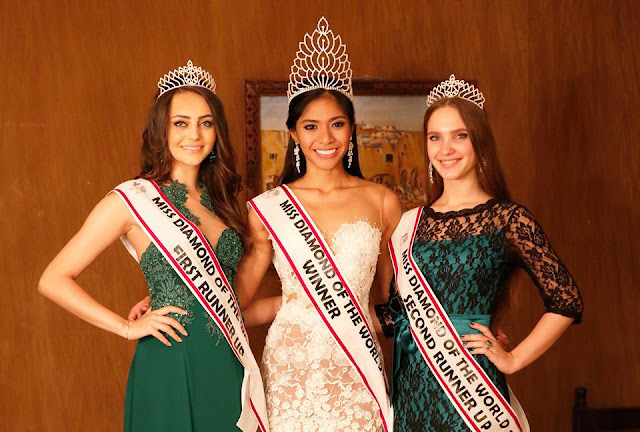 Congratulations to Christine Picardal of the Philippines for being crowned as Miss Diamond of the World 2016 at the international contest held at Sofitel Hotel in Algiers, the capital city of Algeria, last October 7, 2016. Christine was crowned by Delia Duca of Romania, last year’s winner. Runners-up to Christine were the delegates from Romania (Lavinia Grigore) as 1st runner-up, and Russia (Sofia Lunina) as 2ndrunner up. Misses Algeria and Germany completed the Top 5. Special awards were given to Miss Poland as Miss Friendship and Miss Zambia for Best National Dress. There's just too many beauty competitions out there of which not all get mainstream coverage as wide as the Miss Universe. Though all aim to seek the same quality attributes from ladies to represent their respective pageants, not all share the same popularity and following. The lavishness is also noticeable as sponsorship is not as huge compared with the grand productions of the bigger beauty pageants. Nevertheless, the honor and prestige of winning in any beauty pageant is equally appreciated by all the winners as they compete exerting all efforts to attain the top title of the competition. Being crowned the best among a group of girls is already rewarding by itself. The perks and privileges are just a big bonus for them. Miss Diamond of the World 2016 is one of the leading international beauty contests in the world. 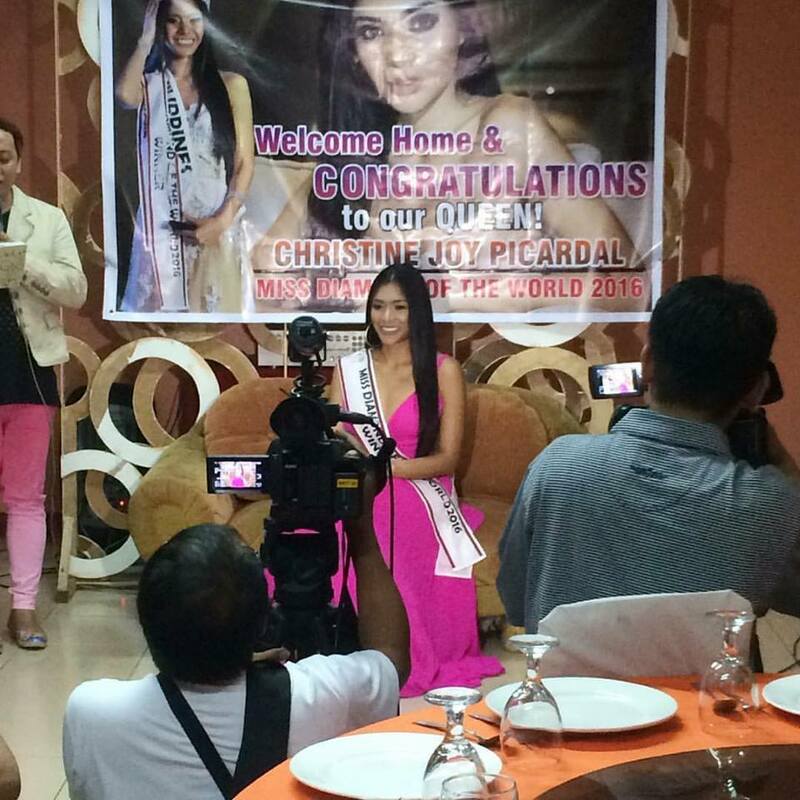 We would like to congratulate Christine Picardal once again. We are proud to have another beauty queen for our country. Thank you for bringing home another proud moment for the Philippines.